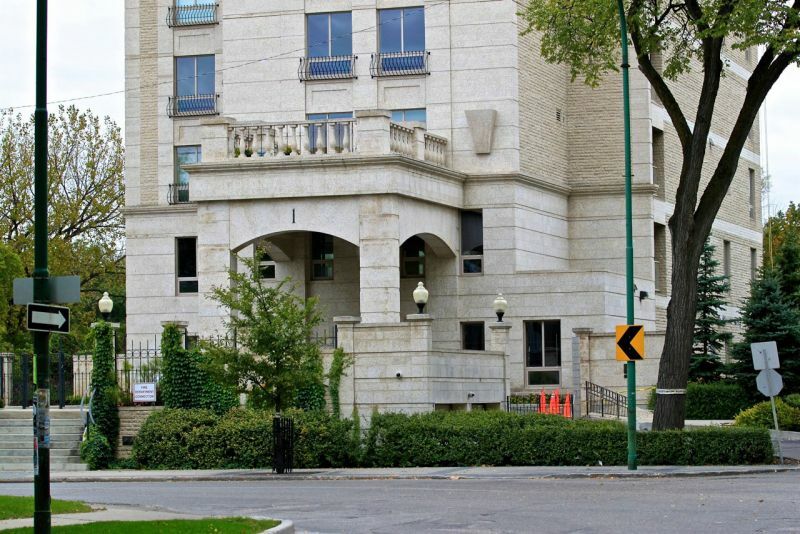 In the late 1990’s, Cooper Rankin Architects of Winnipeg, Manitoba were in the process of designing what was to be Winnipeg’s most distinctive and prestigious address, 1 Wellington Crescent. The high-rise luxury condominium project was set on a prime lot on the banks of the Assiniboine River. Given its height and site restrictions, the structural design was an engineering marvel, consisting of 13 stories of load bearing concrete masonry. 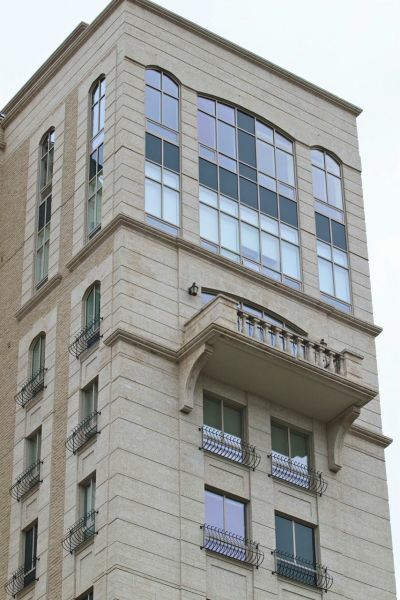 Both the owners and architect were committed to Tyndall Stone® for the exterior cladding. The architecture was to be reminiscent of an earlier, more gracious, time found at the turn of the century. 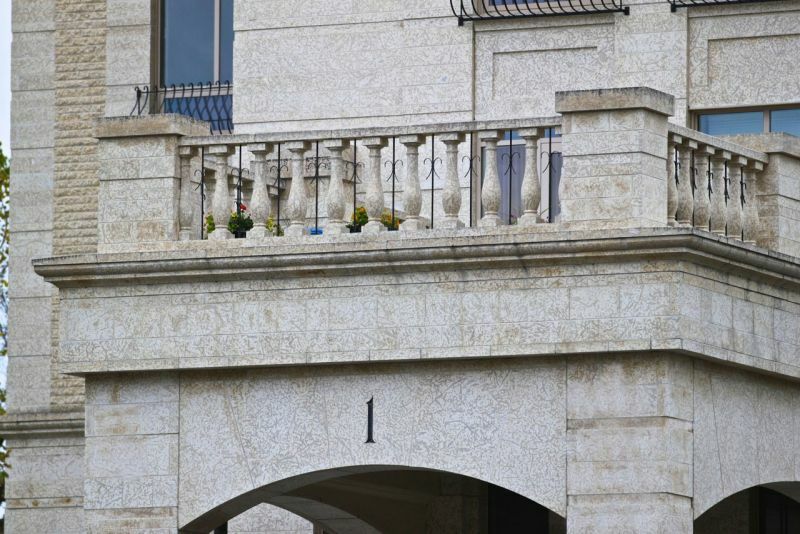 The vision, of Manitoba limestone accented by decorative wrought iron fences, rails and traditional stone detailing recalled an aesthetic most often discovered in Toronto or New York. To achieve this grand and very special (but ambitious) vision would require cost savings. Given the target market, could the vision be realized within existing restraints? Talk of alternate materials was in the air. With Tyndall Stone® being such a significant component of the project, Gillis Quarries Limited was approached to participate in the value engineering process. The goal was to optimize the stone details without jeopardizing the design intent; we needed to find that critical balance between finance, image and performance. Gillis immediately went to work, assembling its team of professional estimators, draftspeople, and business developers. After a thorough review of the architectural drawings, it became clear there were a number of options available to reduce cost without sacrificing aesthetic. 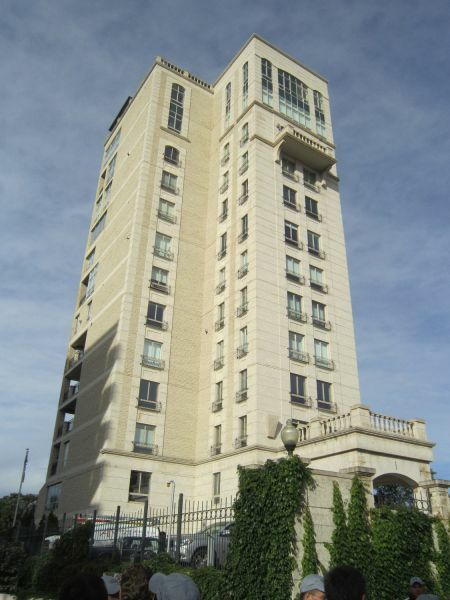 The resultant proposal led to the graceful building which stands proudly at the intersection of luxurious Wellington Crescent and funky River Avenue. 190 mm High, Sawn Face finish - is without doubt the most optimal smooth offering in Tyndall Stone® from both a material and labour standpoint. We changed the 290mm high specified for all floors, to 290mm high for the first three floors and 190mm for the balance. The viewing distance beyond the 3rd floor did not warrant the larger more costly 290mm, and a significant cost saving was realized. 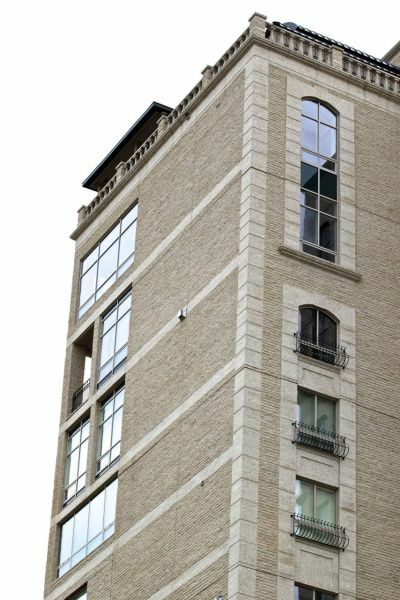 Layered cornice – four courses of 90mm stone replaced the one 390mm high profiled unit, with each course containing one section of the profile. The individual layers were far easier to manufacture and much easier to handle for both the fabricators and the installers. The cost was 1/3 of the specified one piece. Given the viewing distance, the 10mm horizontal bed joints cannot be picked out; it reads as a monolith. The inset bands - initially specified as rusticated panels were achieved with a separate course of random length ashlar, 75mm bed thickness to provide a 15mm reveal. That is a field of 190mm high x 90mm bed accented by a 90mm high x 75mm bed. Ashlar provided significant savings over the cut stone panels. All field materials - were random lengths. Random lengths places waste at Gillis’ discretion, resulting in 30%-50% savings over jointed, to specified lengths. Split Face finish - is the finish of economy. It was selected for the field material for three of the four elevations to (a) offset the premium associated with the cut stone elements of the front elevation, and (b) provide lovely textural contrast to the same. Sawn Face finish - was the smooth finish proposed as “rubbed” face was at a premium. Saw marks would not be detected at this particular viewing distance. *Worth noting is the adjustment to the height of the 10th floor. Many who visit this project do not notice that the ceiling was raised, given the ease with which cut dimensional limestone can be modified. Gillis Quarries Limited has often been questioned how, in this day and age, one could afford a building with cut stone spindles, cornices, balconies, inset panels, arches, landscaping, etc. The key is to never assume you can’t afford your cut stone vision. Let us work with you to explore all options. Gillis Quarries Limited’s intimate knowledge of their plant’s processes positions them in a place to optimize without compromise. A revision that significantly assists the quarry’s game plan may have little to no impact on the client’s needs and expectations. Given the multitude of nuances associated with natural cut stone, we at Gillis strongly encourage this process. In the end, the design intent for One Wellington was preserved, and the project was completed on time and within budget. Next time you drive by this jewel at the historic corner of Wellington Crescent and River Avenue, maybe park the car for a few minutes to have a closer look. You’ll be glad you did.